The news about Sarasota's real estate market continues to be outstanding. In fact, according to SAR President Peter Crowley, it's one of the best markets in the nation and all signs point to ongoing success. Median house prices in the area remain steady, which is a good marker of a stable market. The median price for single-family homes was up slightly over May of last year at $191,500 and down slightly over April's $196,250. For condos the story is similar, with a median price of $175,000 prices were down 4.6% over April of this year and up 6% over last May. When looking at the median house price over the 12 month period ending in May, the improvements in prices become more significant, with single family home prices up by 15% and the median price for condos up by 8.8%. In terms of numbers of sales, those figures are looking positive as well. The total number of closed sales in the month of May was 1100—353 condos and 747 single-family homes. This figure, was in fact, very slightly lower than May of last year when 1127 sales were closed and also a bit down from April's total of 1195 closed sales. Pending sales numbers, which are a good indicator of what will happen in June, are very positive, with the figure for pending sales in May (1042) being slightly better than the figures for both April of this year and May of last year. Another market indicator that continues to look good is that of distressed sales. The numbers of short sales and foreclosures remains much lower than the levels experienced at the height of the crisis, 4 years ago. In May, 19% of sales in the Sarasota real estate market were short sales or foreclosures. While this figure is up slightly from April's 16.6%, it is better than the numbers for May 2013, when short sales and foreclosures were at 20.7% of the market. Inventory numbers for the month of May match the trend we have seen with the rest of the market indicators for the month: slightly worse than April's numbers but better than last May's. Inventory in May 2014 reached 4513 which is actually significantly better than last May's total of 3905. The difference between April and May 2014 represents a 4.5 percent drop in inventory, but the figures are still nothing close to the recent market low, which was 3747 in July of last year. 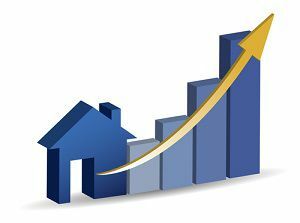 The Sarasota real estate market seems to be on course to report an even better year than last year and that is really saying something. The figures from January through to the end of May this year are ahead of those for the same period in 2013. And 2013 saw the second highest number of sales in the 91 year history of the Sarasota Association of Realtors!